In Alaska, there are many cash advance loan options to help solve those financial emergencies that could pop up between paychecks. You could drive to a cash advance store in your area, or apply for a loan at a bank. A fast and secure way to get the emergency cash you need is to go to CashLoan.org; your emergency cash can be in your account in an hour or less. Whatever your financial emergency- an unexpected car repair, repayment of a personal debt, a gift for that surprise wedding or an unexpected financial loss- CashLoan.org is here to help. As a short-term loan, a cash advance is meant to be repaid quickly, within a couple of weeks. Other differences include the short application and approval process, and the lack of credit check. There’s no need to struggle until your next paycheck, take advantage of CashLoan.org’s confidential, secure and reliable service by contact us or APPLY NOW online. Once approved, your cash advance loan will be in your account in as little as one hour, so there's no waiting for funds. The application procedure is quick and easy, and you can get approved for a loan in as little as 90 seconds. It’s so simple. Alaska state law does not exempt cash advance lenders from small loan and usury laws (often referred to as “Safe Harbor” legislation). The legislation does not stipulate a limit to the number of outstanding payday loans an Alaskan resident can have- as long as the total does not exceed $500. 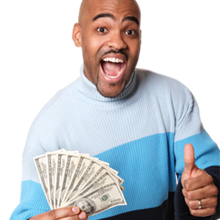 $500 is the maximum payday advance loan allowed by law. Loan terms vary, but must be a minimum of 14 days. Alaska law permits two extensions or rollovers. Finance fees cannot exceed 15% or the lesser of $15 per $100 of the amount borrowed plus a $5 fee.